If you are looking for a simple yet highly effective way to add an extra touch of seasonal joy and cheer to your home this winter, why not take a look at our range of festive Christmas wreaths. Specially designed by experienced, professional florists, our range of eye-catching 34cm wide wreaths will lend a splash of Christmas joy to any front door they come to adorn this December. If it's a classical Christmas wreath your heart desires, you may want to have a look at the Yuletide Christmas Wreath, an indelibly elegant affair by any standards. 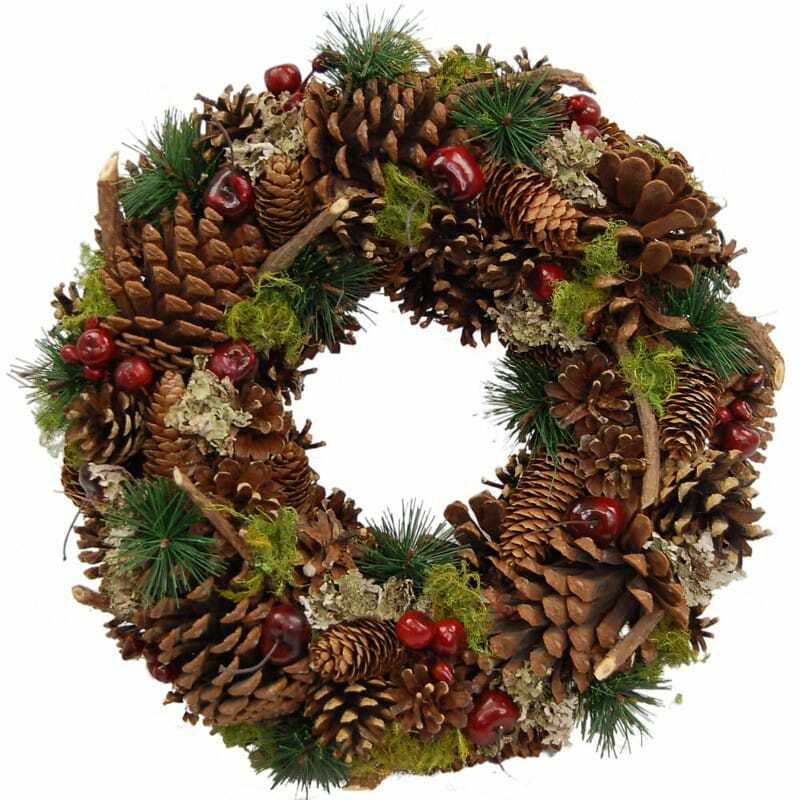 Evoking the feeling of a cosy Christmas cottage, this traditional style wreath incorporates dried moss, pine cones, green aritificial spruce, dried lichen and red artificial cherries.